Have a friend who has a sweet tooth? 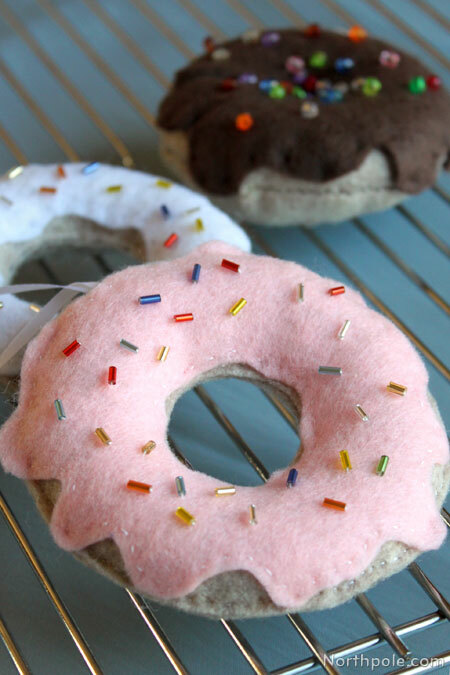 Make several of these deliciously cute doughnuts or cupcakes and package them in a pastry box for a unique gift idea. 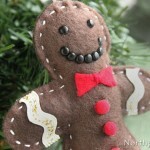 Whether you sew a baker’s dozen or just one, this ornament will look adorable on the Christmas tree. Trace template pieces onto felt and cut out. Cut out 2 tan doughnut pieces and 1 white frosting piece (with wavy edges). Be sure to cut out the center of each circle. 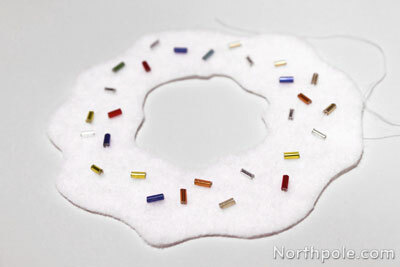 Sew bugle beads onto the white piece for sprinkles. 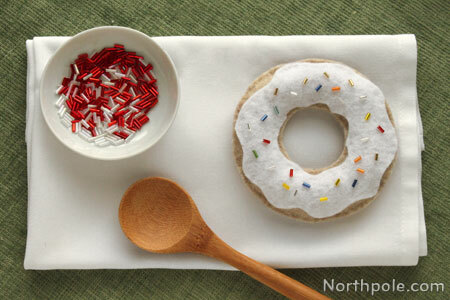 Place the frosting/sprinkles piece onto one of the tan doughnut pieces and sew together. Set aside. 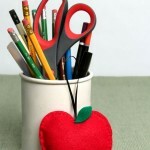 Cut a piece of ribbon that is about 6" long. 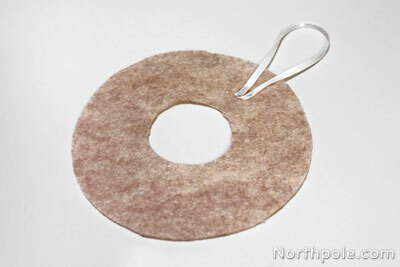 Fold the ribbon in half, and glue the ends onto the remaining doughnut piece. 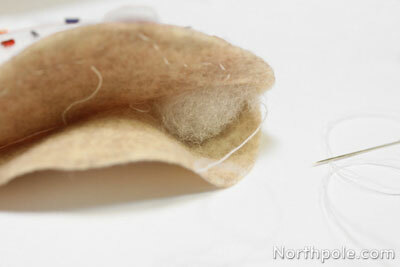 Sew the pieces together along the inner edge. 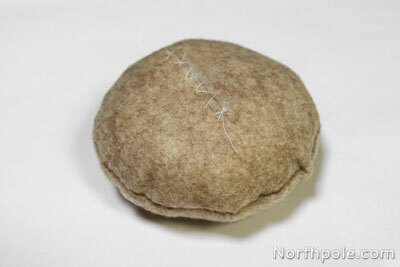 Begin sewing along the outer edge. 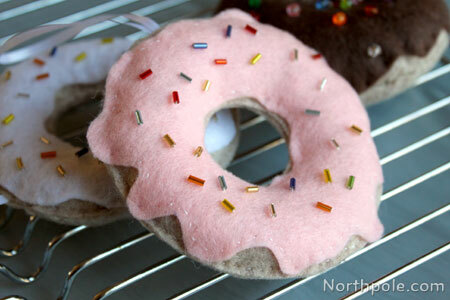 After you’ve sewn 1/4 way around the doughnut, pause to stuff that section with Poly-Fil®. 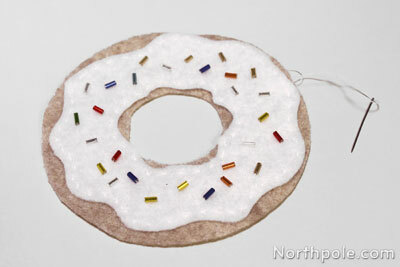 Continue sewing and stuffing the doughnut until you’ve sewn all the way around the doughnut. 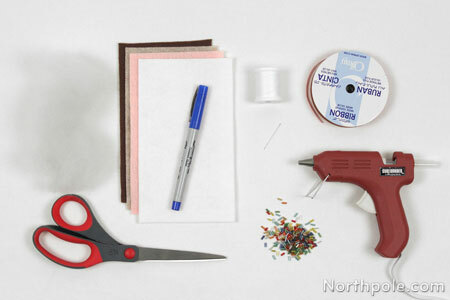 As you finish sewing, hide the thread. See here for tips. Now your doughnut is finished. Mm-mmm! Print this template and cut out pieces. Trace the template pieces onto felt and cut out. Cut out 2 tan doughnut pieces and 1 brown frosting piece. Sew beads on the brown frosting piece, if desired. Set aside. Cut a 1.5" slit in the middle of one of the tan circle. You can accomplish this by folding the circle in half. 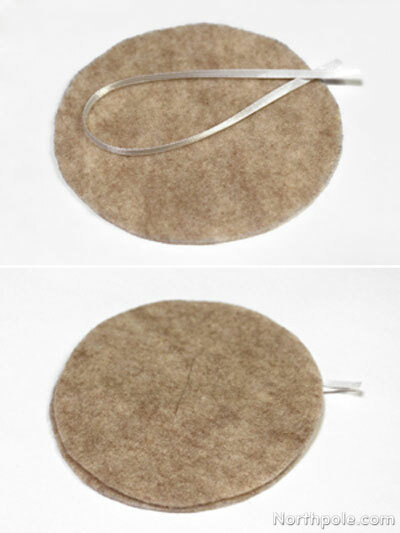 Stack tan circles together, place the ribbon (folded in half) in between the layers, with the loop of the ribbon inside the circle. Sew around the circles completely, being sure to sew the ribbon in place. Using the slit you cut in step 3, turn the doughnut inside out. 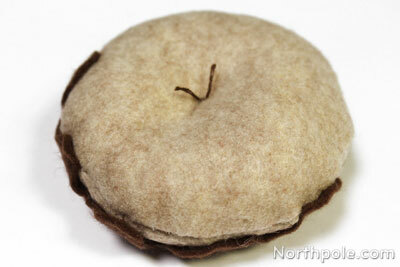 Now the loop of ribbon is on the outside of the doughnut. 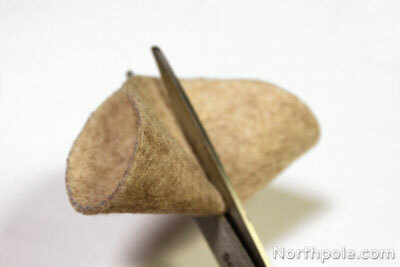 Tie ends of thread in a double knot, and pull needle through the brown felt so that the knot is on the back. On the back of the doughnut, poke the needle into the center and pull the needle through the doughnut to the top (frosting side). 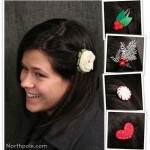 Poke the needle back through the doughnut, bringing it to the back. 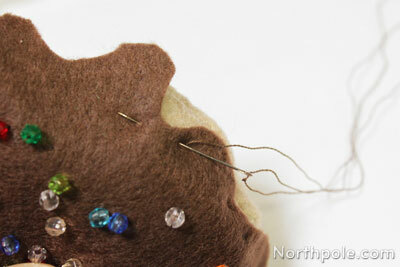 Now tie the ends of thread in a knot and trim. Your Boston cream doughnut is done.